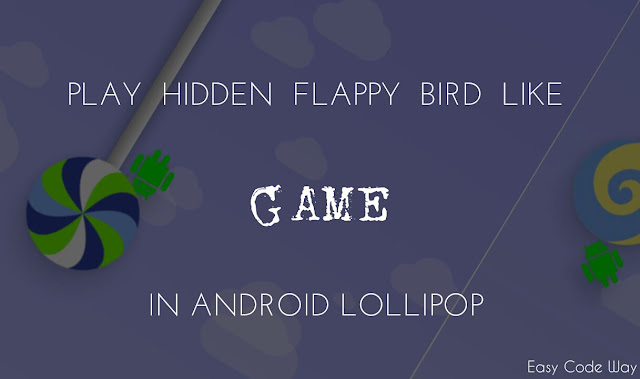 Did you ever played Flappy Bird in your android smartphone? Well Its not like angry birds or temple run but yeah this game has gained lot of fame in a very short period of time. Being simple in graphics, the application size is quite small. From other point of view, this game is challenging and very difficult to score. Because of this, I hate this game as like other small kids do. You can't score more than 3-4 and at least not me. This is the main reason why I stopped playing it. Coming back to the topic, there is an interesting news for both Android and Flappy Bird users. 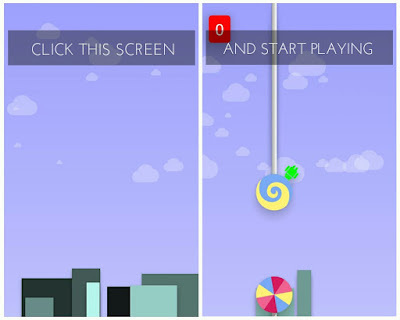 In latest version of Android i.e In lollipop version, a new Flappy Bird like game is added as easter egg. In this post title, I had used a term "Hidden". So what does it mean? First of let me ask you one question. How did you open games in your android phone? Well it's simple. After installing the apk application, icon is added to home screen and you just need to click it. But same thing is not applicable for this game i.e there is no direct option to play it and that's why android put in under easter egg. Open your Android Smartphone and move to "Settings". Scroll down and click on "About Phone". Now a lollipop will appear. Tap on it 2 times and then hold the screen for few seconds. Finally you'll see an animated moving screen as shown in below picture. Click anywhere and a small android robot will appear. Start playing it and enjoy! It's better to have something when you have nothing to play. So you can play this game anytime when you getting bored and have nothing to do. If you've any questions regarding this topic, please comment below and let me know what do you think! What is your maximum score till now?